Building an accessible WordPress site in a day – is it possible? To create a professional looking WordPress site that serves its purpose well needs careful planning, lots of expertise and a solid working relationship with your client. When I plucked up the courage to sign up for the ‘do_action’ one day Hackathon, I wondered whether perhaps I was missing something. Would it be possible to join a team of people that I had never met and build a site in a day? 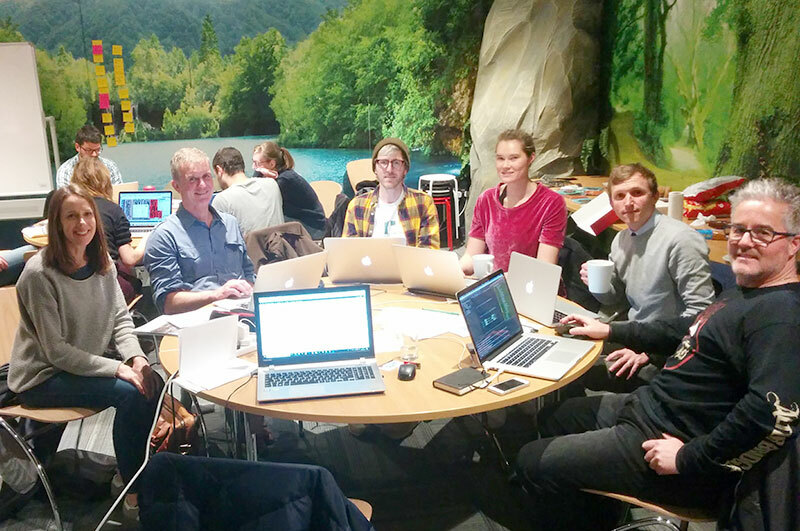 The first ever ‘do_action’ event in Europe, the hackathon took place at Desklodge, Bristol’s coolest coworking space. Organised by members of the friendly and welcoming Bristol WordPress community, there were five teams of volunteers supporting five worthy charities. Each team consisted of a Project Manager, two Developers, a Designer, Content Manager and a Quality Assurance Tester. My responsibility was to Project Manage, ensuring Bristol Disability Equality Forum (BDEF) had a functioning site by 5.30 pm on the day of the event. Speaking to the charity, making contact with the rest of the team, organising hosting and setting up somewhere to build the site were items on my list of pre-event tasks. If the day was to run smoothly, it was essential that I found out everything I could about the project ahead of time. When I met with BDEF I discovered that they are a disability led organisation, who campaign and offer support, information, opportunities to meet and events for deaf and disabled people in Bristol and the surrounding areas. The highest priority for their website was for it to be accessible to people with a broad range of impairments. This meant we needed text only, contrast and font size adjustment tools and we needed to pay careful attention to the colours and fonts used on the site. In addition the content needed to be clear and concise, forms needed to be tabable and images needed to be labeled clearly for those using screen readers. After the meeting I felt satisfied to be able to share with the team on our Slack channel, a list of requirements and the structure of the site. The charity was asked to collect together images and content that we could use. I hoped this was enough… afterall, we were supposed to be building the site in a day, right? Having only one day to build a site was pressure in itself. Working with a team I didn’t know, whose capabilities I had little understanding of, was unnerving. However, the joint purpose, the fact we were all there together, to share knowledge and help others was common ground. After the opening remarks, we wasted no time, we introduced ourselves, formulated a rough plan and set to work. We chose a theme to give us a head start – Twenty Seventeen, because of its’ claim to be accessible and robust. The developers decided to create a customized accessible header for the tools we wanted to display, the plugins weren’t doing exactly what we wanted. Our content expert set about copying content from the existing site and adding text we had been given. The designer tidied up the logo, chose a font and created a wireframe of the home page. The Quality Assurance Tester offered valuable advice and support, and attempted to download documents and files from the existing site and import them to the new one. I tried to answer questions, fill in the gaps and stay calm. As the day went on we paired up, we collaborated, discussed our plan of action and the elements of the site started to take shape. Lunch was a welcome break and a chance to chat and network with other teams. Back at our desk, intensity grew as the afternoon progressed and time was beginning to run out. I wouldn’t say it went smoothly from here, there were challenges at every turn. When our time was up and I had to present the site, we certainly had something to showcase. A groundbreaking, award winning site ready for sign off? Perhaps not… There was still work needed to tidy it up ready to go live the following week. It’s important to put into perspective what can be achieved in a day, even with a team of 6 motivated and talented individuals! I assumed the planning I had done before the event was enough, and that most of my work was done. On the day, I would sit back, drink coffee, making sure my charity was looked after of course, but how wrong I was! You can’t do enough planning for an event like this. In addition to gathering requirements you need to be realistic and only commit to essential elements of functionality. Make a design and build plan involving the whole team and be more than clear with your client or charity as to what you need from them. So was I right to question the feasibility of building an accessible WordPress site in a day? Perhaps, like Rome, it’s not really possible. Wouldn’t we be trivialising the complexity of our work if we could? On the other hand, it’s important to see the bigger picture as to the purpose of an event like this. I’ve made great new contacts, enjoyed working in a team again, given back to the WordPress community and benefited a worthy cause. I certainly enjoyed the challenge and feel proud of what we have achieved. I would definitely recommend a ‘do_action’ WordPress hackathon to others and might even sign up again myself!